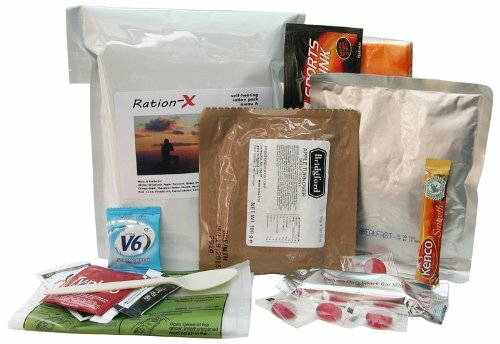 The new Ration-X field ration is a complete, ready-to-eat, self-contained meal presented in a light-weight, water-proof pack. The pack contains a main meal, a dessert, snacks, powdered drink and an accessory kit. A flameless ration heater is included to self-heat the main meal without the need for a fire or a stove. All the components are pre-cooked and ready to eat, hot or cold. The pack provides over 1500 kcal per meal which is in line with standard military requirements for highly active soldiers.